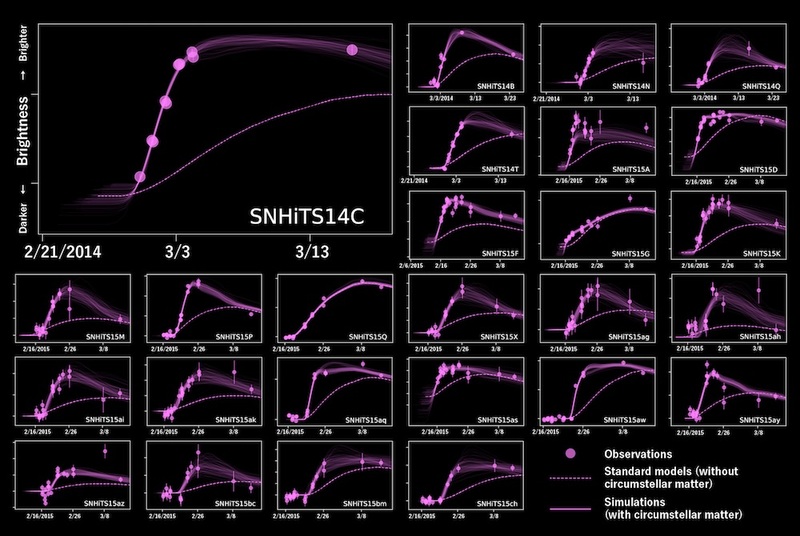 To solve this mystery, Takashi Moriya at the National Astronomical Observatory of Japan (NAOJ) simulated 518 models of supernovae brightness variations and compared them with the observational results. 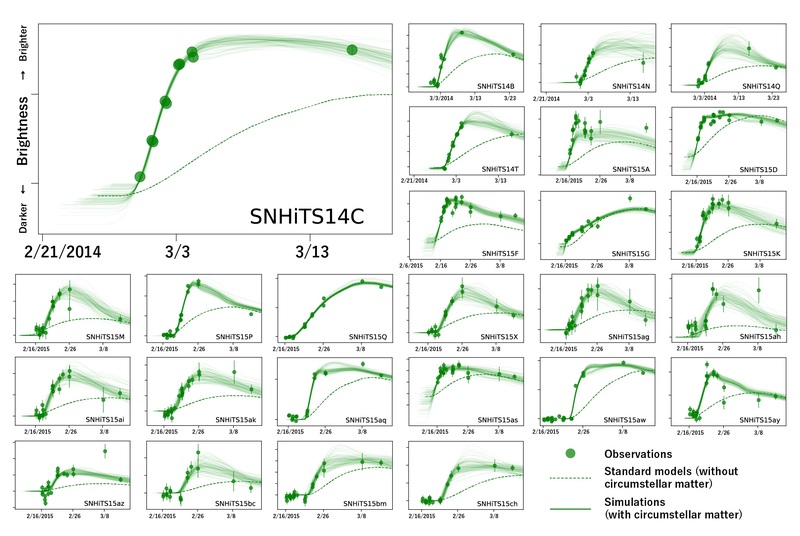 The team found that models with a layer of circumstellar matter about 10% the mass of the Sun surrounding the supernovae matched the observations well. 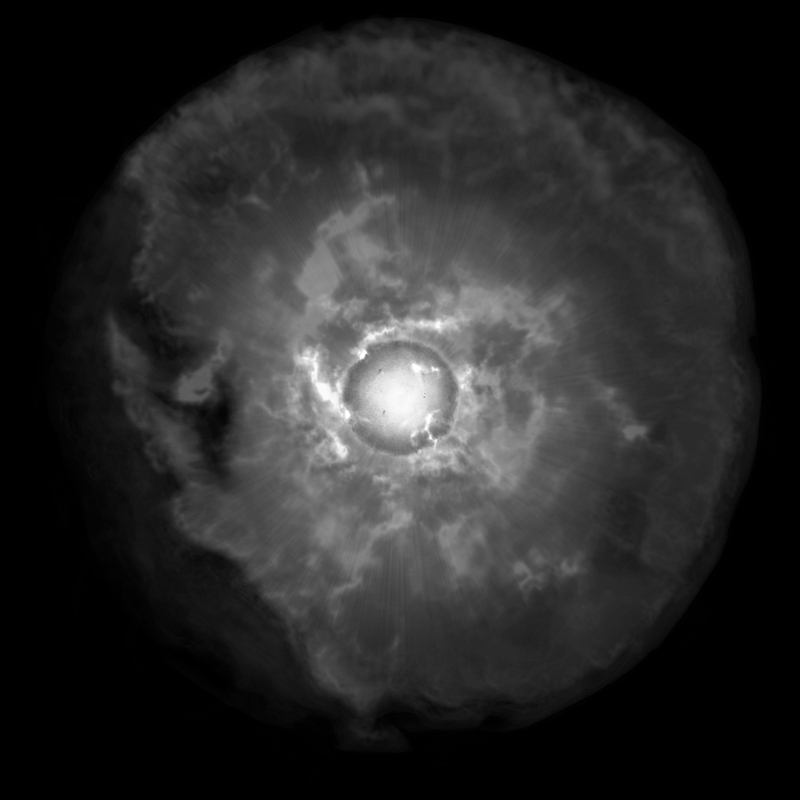 This circumstellar matter hides the shock breakout, trapping its light. The subsequent collision between the supernova ejecta and the circumstellar matter creates a strong shock wave that produces extra light, causing it to brighten more quickly. Title: "The delay of shock breakout due to circumstellar material evident in most type II supernovae"
This research is supported by the Grants-in-Aid for Scientific Rsearch of the Japan Society for the Promotion of Science (No. 16H07413, 17H02864). Contents are to be used with a clear indication of credits. 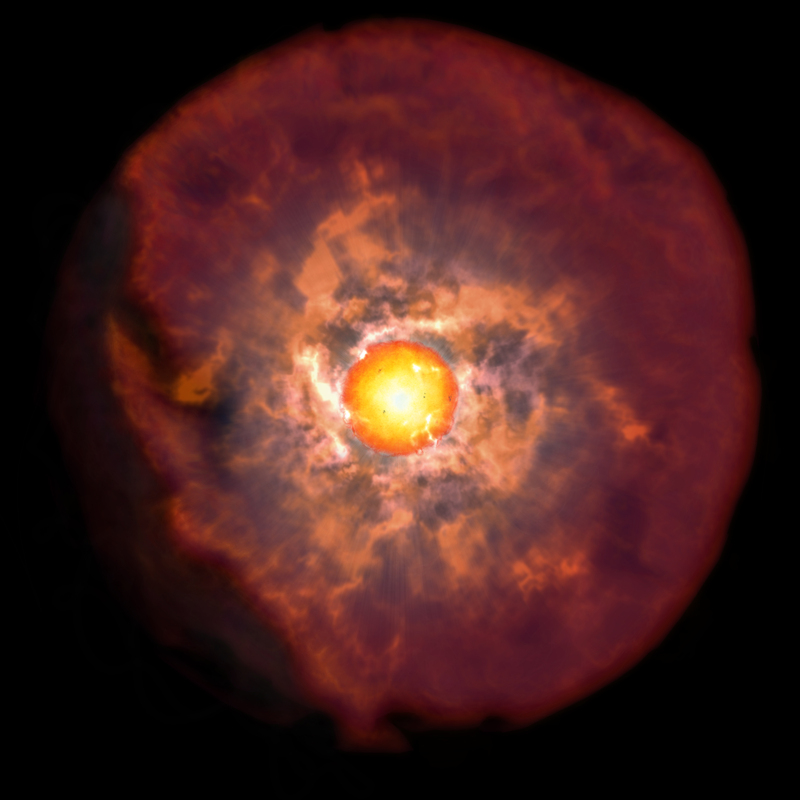 Center for Computational Astrophysics, NAOJ Press Release "Veiled Supernovae Provide Clue to Stellar Evolution"
NAOJ Press Release "Veiled Supernovae Provide Clue to Stellar Evolution"
The University of Chile Press Release "Chilean scientists discover crucial event right before the death of a star"